Prodotto sicuramente resistente ma pesante.. Sortiamo almeno duri. 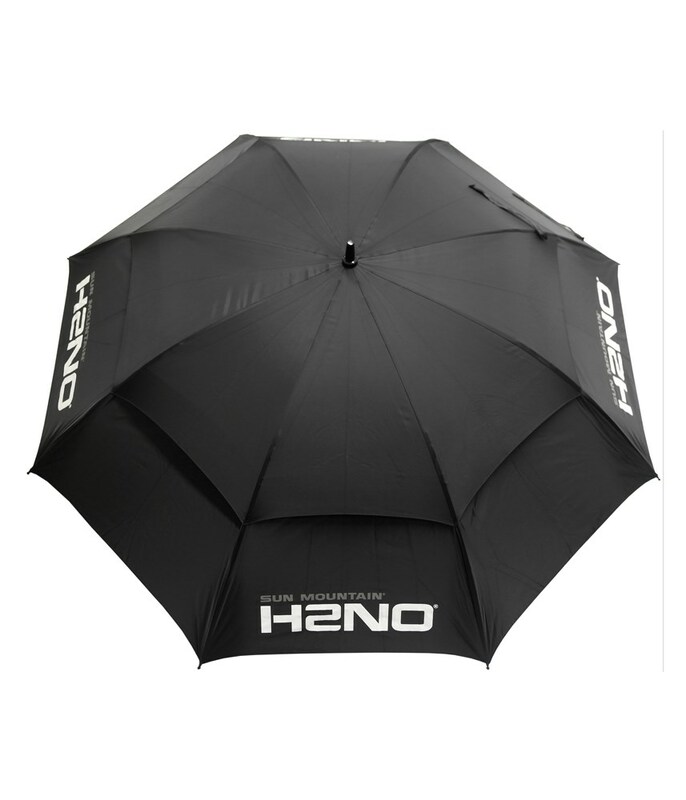 Keeps the wind and rain at bay, just what is needed for the winter. Great price for this. Covers about 3/4 of the course and is very strong in all winds. 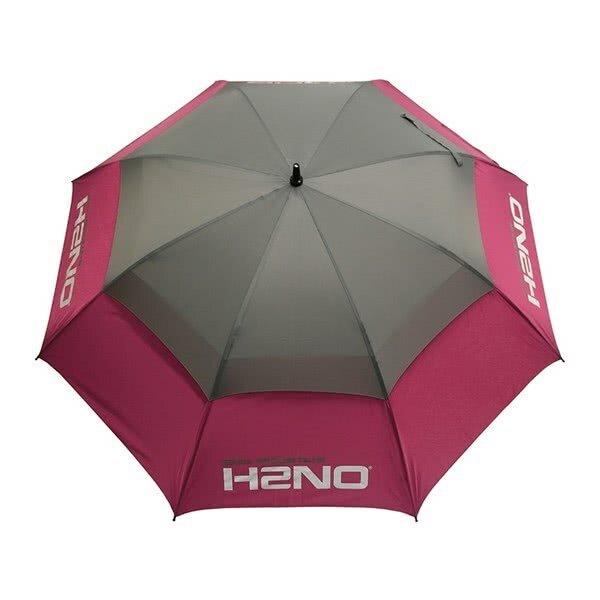 Great colour too and goes up and down easily. 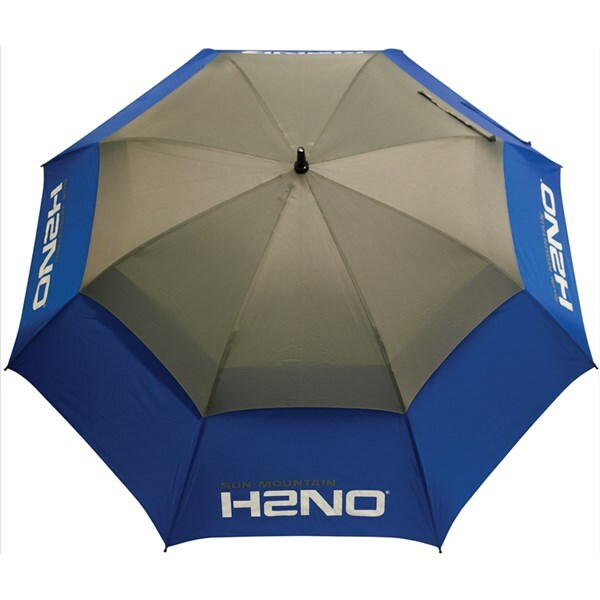 Great range of design options for purchasing. 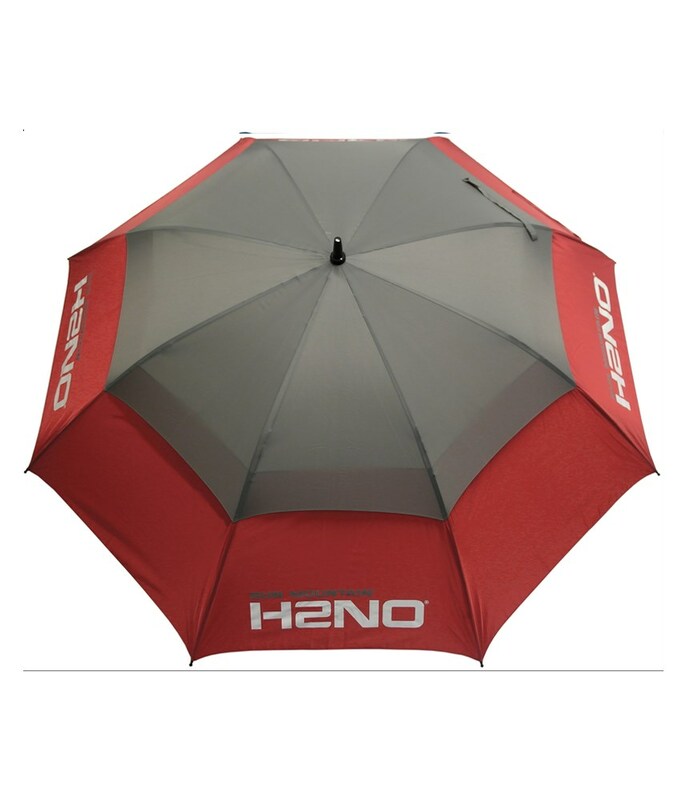 On receiving you could instantly see the build quality, it is very well made. 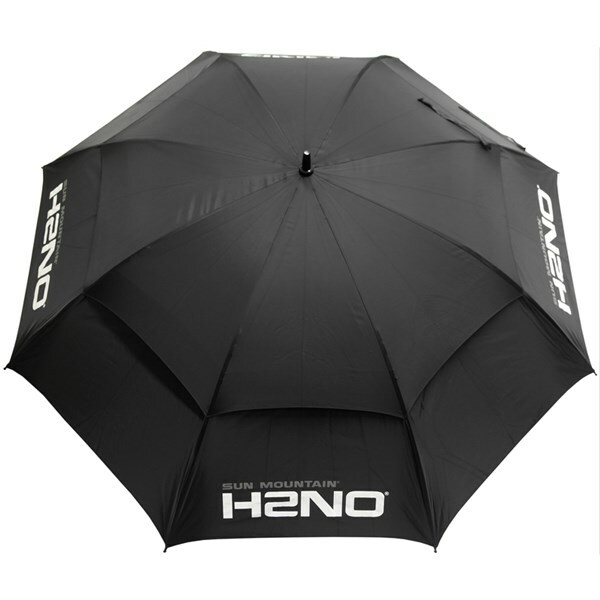 It as has a large coverage area which is great for staying as dry as possible. 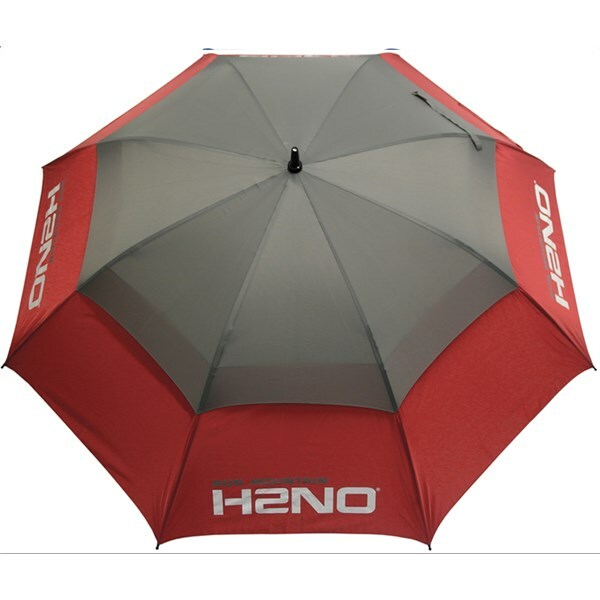 One draw back could be the weight but I don't find it a problem as there is not much difference between my previous umbrella. For the money, you can't go wrong. 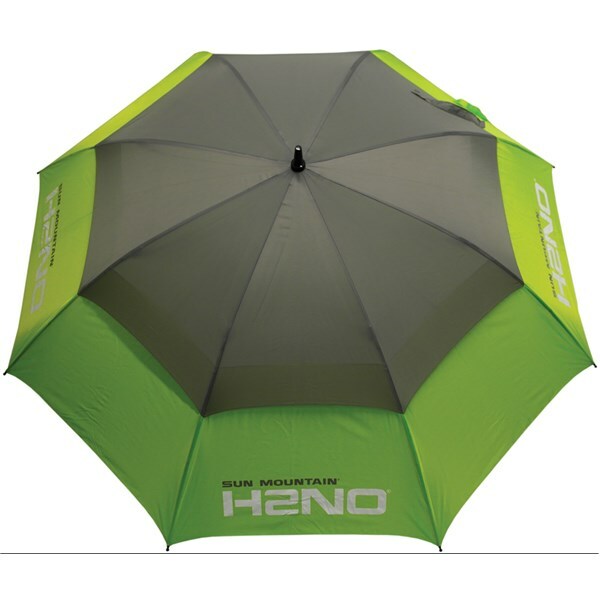 Was looking for the largest canopy with the features : double canopy for wind resistance. The price was nice and the build quality outstanding. The only downside is that it is really heavy. 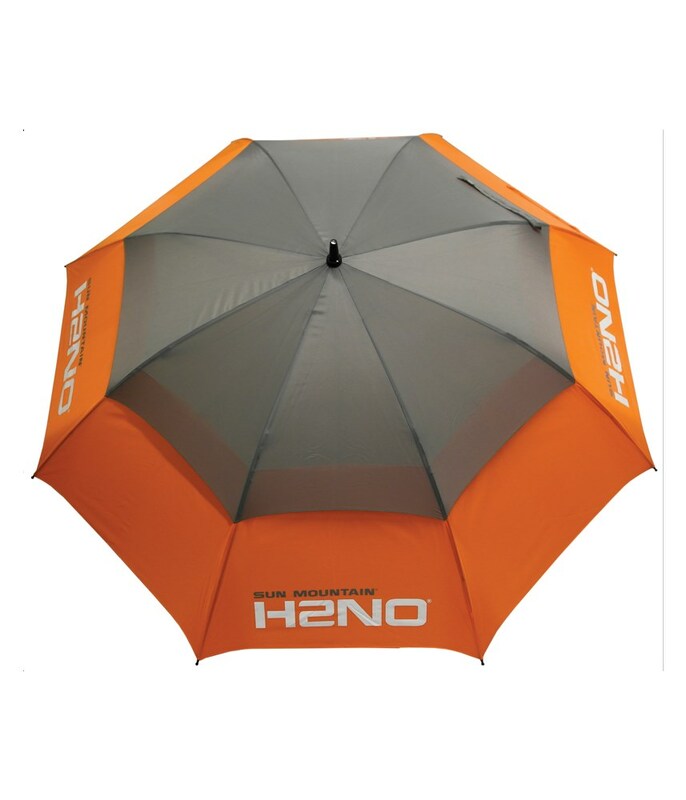 Great quality umbrella. Super colours. 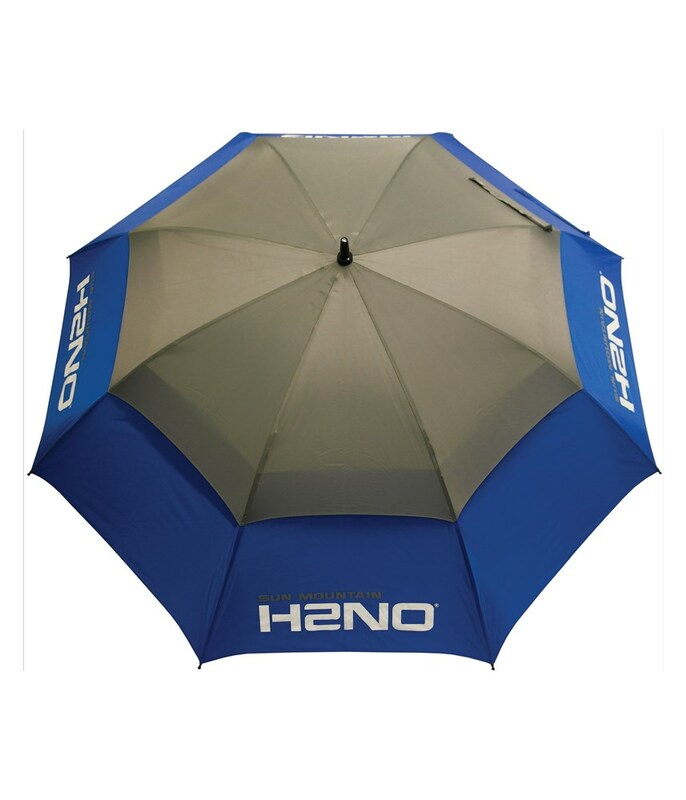 You will always stand out on the golf course. 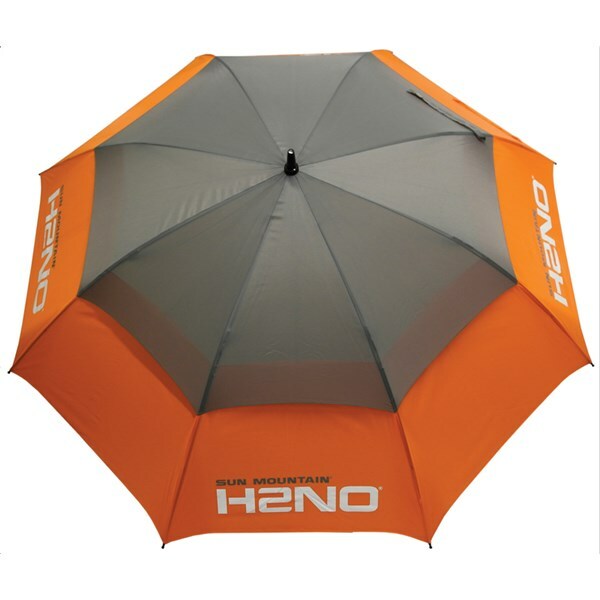 The Sun Mountain H2NO Umbrella has been designed to provide maximum coverage, durability and ease of use when the weather conditions are not very favourable. 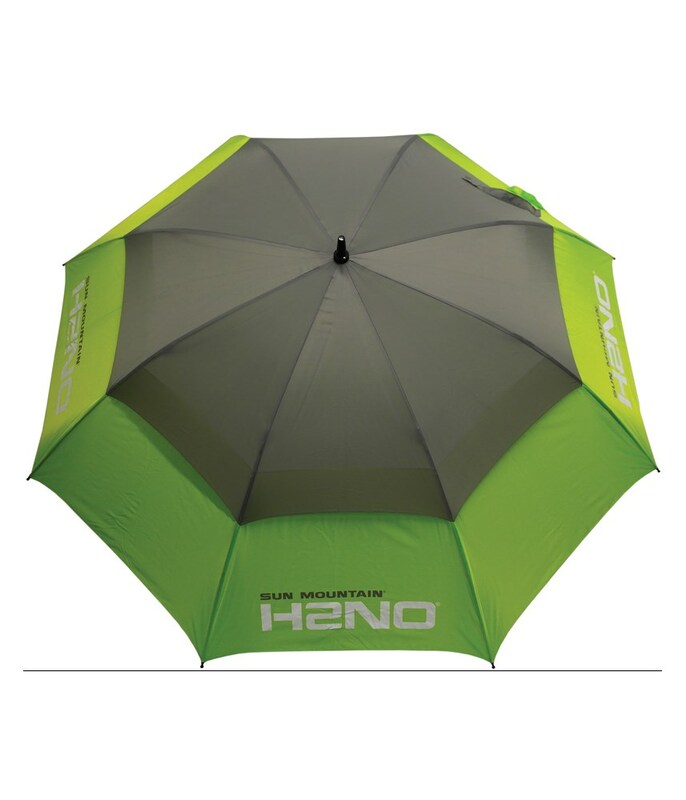 Sun Mountain have made the H2NO Umbrella with a double canopy durable nylon construction that will repel the rain and give you extremely strong wind resistance. 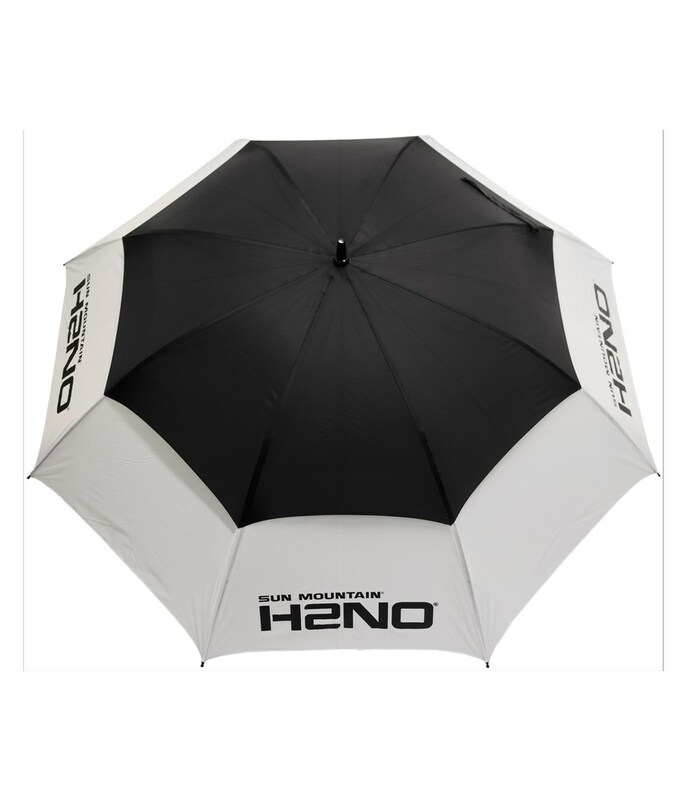 The frame of the Sun Mountain H2NO Umbrella is made from an extremely robust fibreglass and features their auto-opening technology and an ergonomic handle that makes this umbrella comfortable to carry for long periods of time. 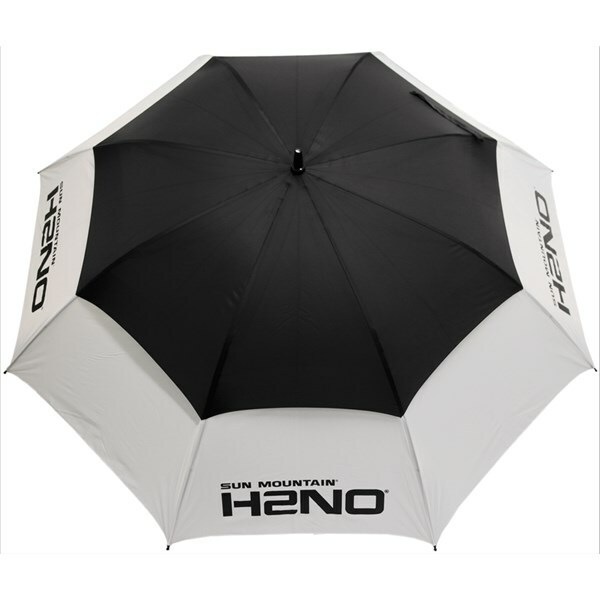 The overall coverage of the Sun Mountain H2NO Umbrella is 68 inches (173cm) so there is little chance of you getting wet when standing underneath it. It is available in 6 colours which have all been chosen to go with the colour schemes of their golf bags.